Cats derive a sense of wellbeing from feeling fresh and clean. Catsan Naturelle Plus Cat Litter is made from porous softwood that is reliably absorbent, to keep your cat's litter tray hygienic. This non-clumping litter is three times more absorbent and more effective than conventional non-clumping cat litter thanks to its softwood grain structure, naturally low pH and particular wood properties. The pellets absorb the liquid like a sponge and lock-in any odours. The litter is also soft on your cat's paws and low-dust, as well as being 100% compostable. 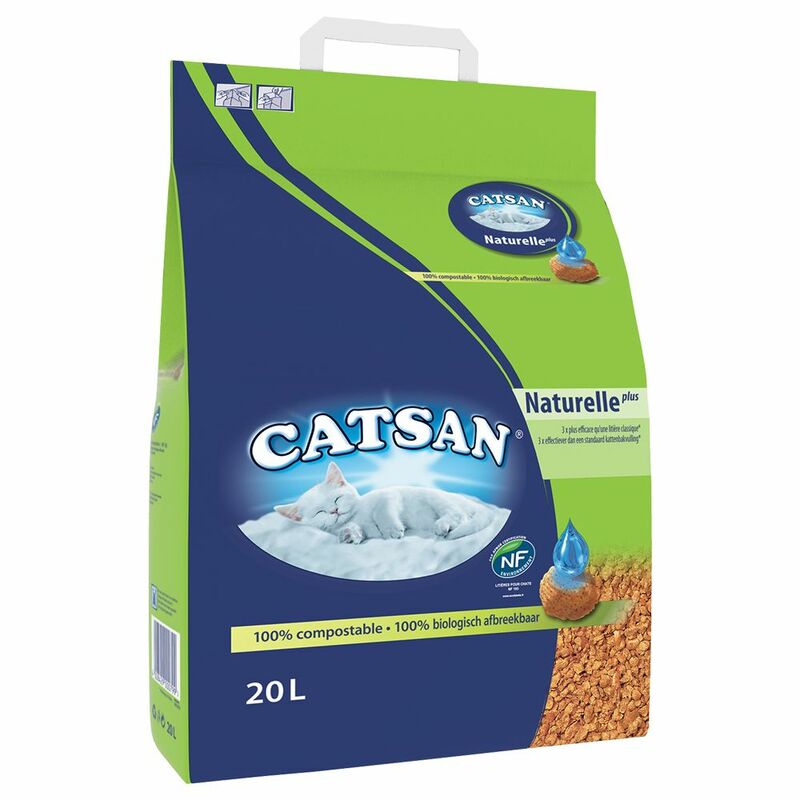 Catsan Naturelle Plus Cat Litter at a glance: Cat litter suitable for all cats Pellets made from natural softwood Effectively absorbs liquids, with excellent odour-binding properties Soft texture, low-dust and with a low pH 100% biodegradeable: from naturally renewable resources Non-clumping.